A good Christmas cookie tray is important to any holiday festivity. I’ll admit, I’ve been guilty of actually judging a few people during a cookie exchange because of their poor cookie judgement, but only because they brought chocolate chip cookies and snickerdoodles… Granted, I’d never turn down a cookie, but NO NO NO. 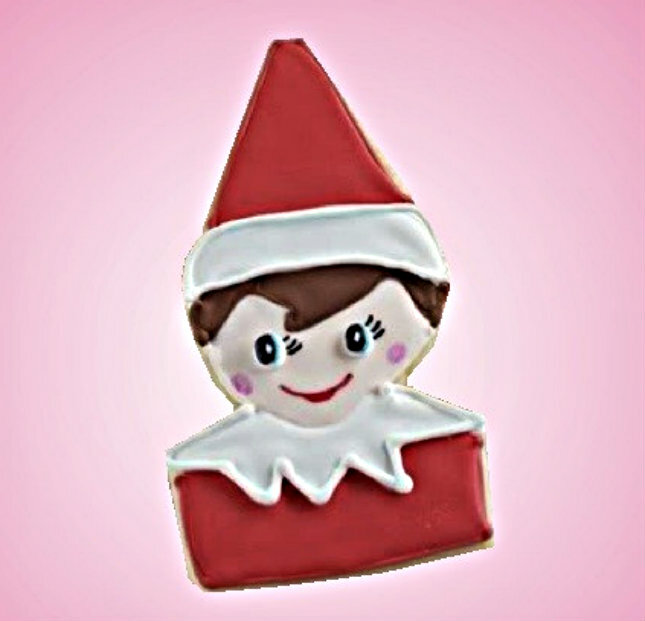 If the cookie doesn’t have red or green frosting, in the shape of a reindeer or is a recipe passed down from your great, great grandma, don’t even. 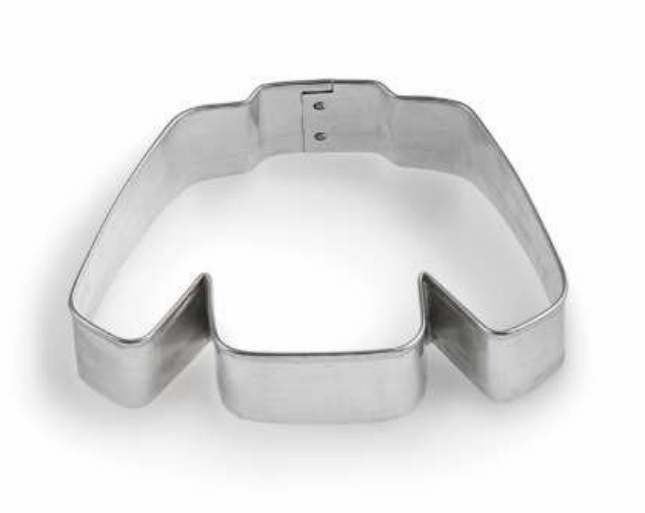 One guaranteed way to make any tray shine is cutout cookies. Not only are they extremely festive, people are automatically impressed because they know how annoying cutouts can be. 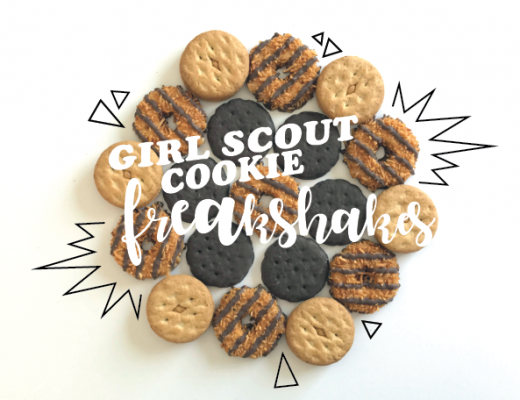 They’re the cookie that brings people back to their childhood and memories of helping mom and dad in the kitchen, rolling out the dough and eating more sugary frosting than really doing any work. Mini Gingerbread House, $9.00. So these would be adorable and I’d have a really hard time eating them, but I wouldn’t be able to say no. 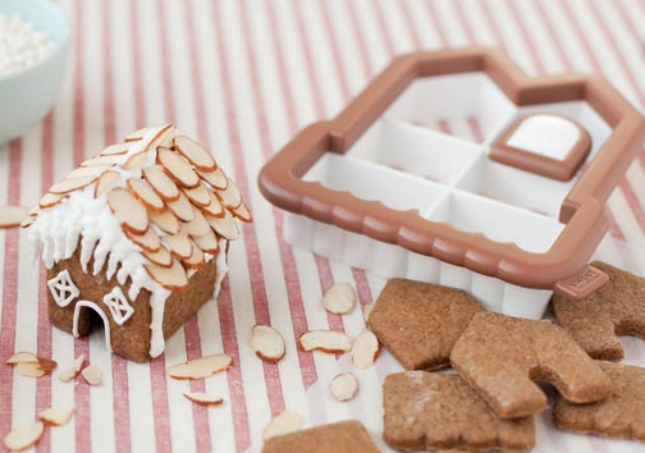 You could also make this cute little diddy where they balance the house on a rim of a cup of hot coco! Ugly Sweater Cutout, $1.50. This is my favorite kind of cutout. It’s quirky, yet festive. 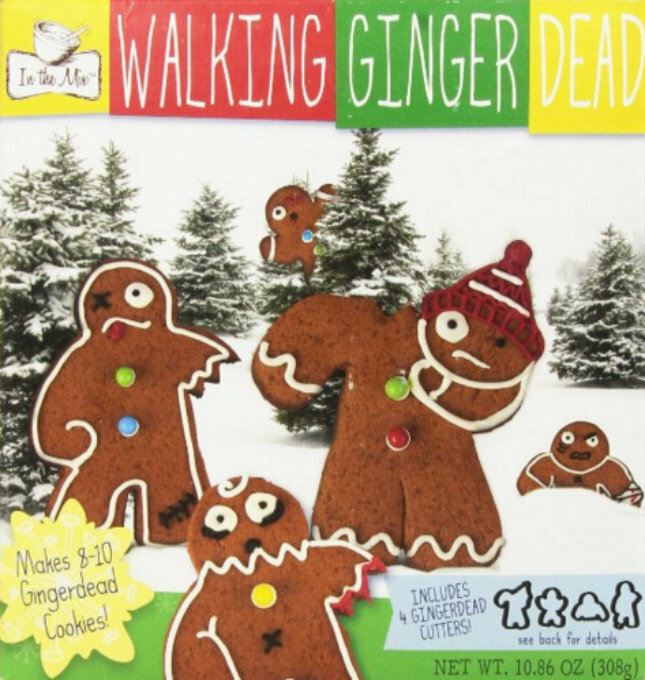 You can get real creative and customize each one or just go standard frosting and they look cute either way. Continue for more fun cutouts after the jump! Zombie Cutout Set, $11.95 for 3. Because Christmas and Zombies can go together, right? 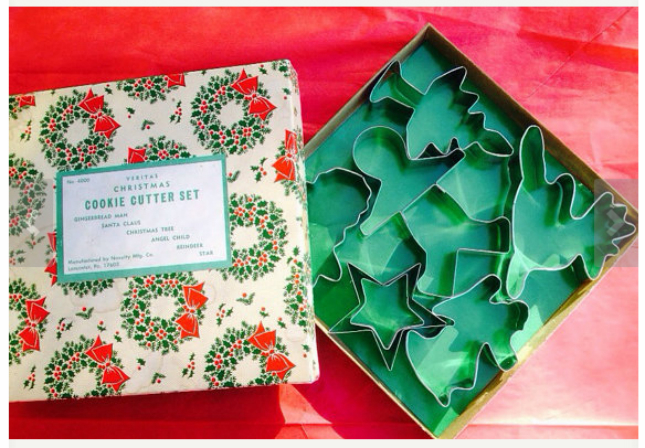 Very Vintage Christmas Cutout Set, $15 for 6. Sometimes vintage just does it better. These remind me of my grandma and cover all of your classic designs. Christmas Light Bulb, $2.50. These again are fun because they can be jazzed up or all decorated the same for the same cute factor. 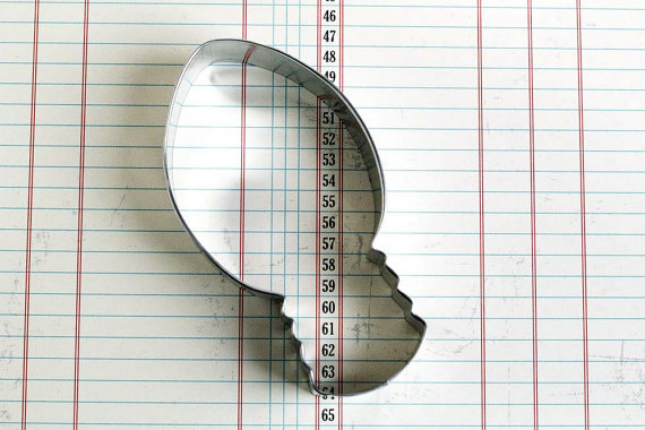 Christmas Elf Cookie Cutter, $4.99. The whole elf on a shelf really gets me and these remind me of rudolph. 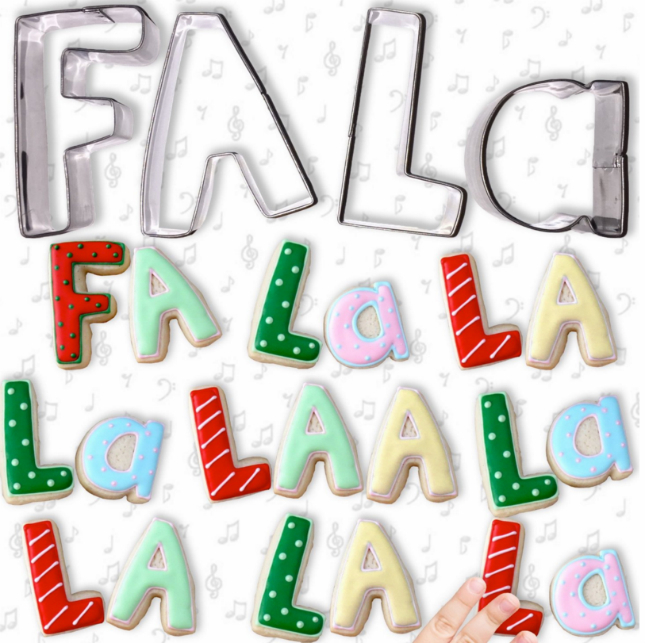 Fa-La-La Letter Cutters, 8.97. I immediately begin half screaming half singing deck the halls when I see these and if that’s not the definition of festive, I don’t know what is.